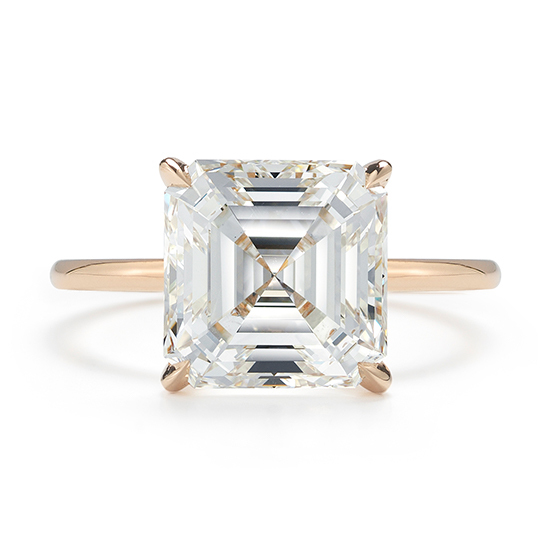 The Robin setting, designed by Douglas Elliott, is the lowest setting available on the market today with the culet of the diamond just a hair above the finger. 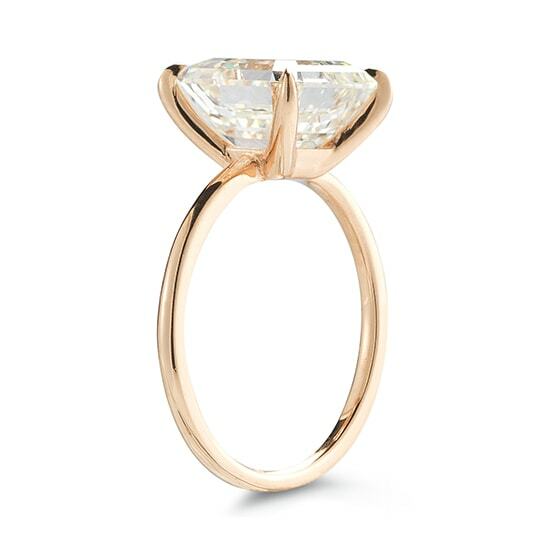 Adore your diamond from all angles without obstruction with this innovative design. Shown in 18k rose gold with out micro pave, this 4 carat Asscher diamond makes a beautiful statement on our thinnest band. This ring can be customized to your specifications with the setting available in platinum, 18k yellow gold, or 18k rose gold and all diamond shapes beginning at 0.50 carats. Please contact us to schedule an appointment and explore the different options available to you. We look forward to working with you to create the perfect ring.